"I made a couple of fundraising visits while I was in Vegas with the DGA — on behalf of the DGA — to individuals," he said. Asked what he meant by "fundraising visits," the gov said, "Met with individuals about the possibility of donating to the DGA, individual donors." Shumlin said he would not comment on whom he met with, referring questions to the DGA. 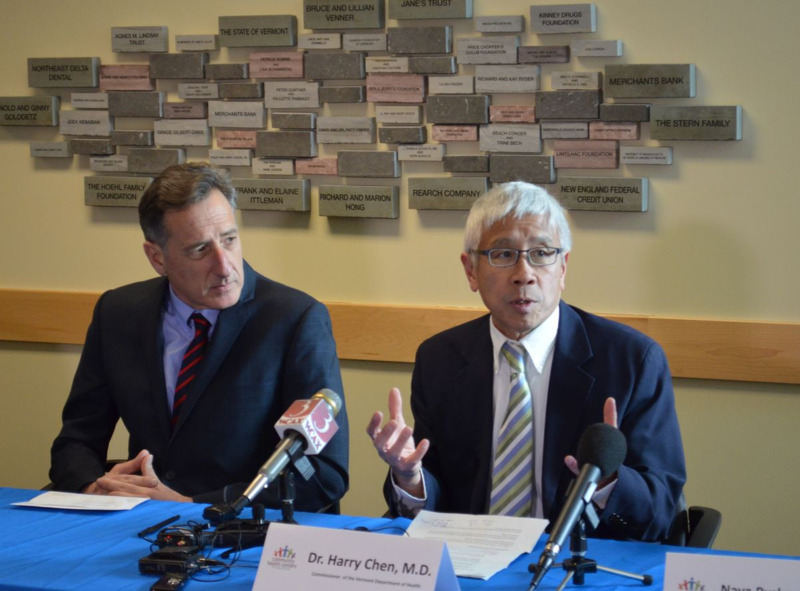 Asked whether the DGA would respond to such questions, Shumlin said, "That's up to the DGA." "You run the DGA, though, right?" Seven Days noted. "I mean, they have just not responded to any of my questions about this. So, as chairman of the DGA—"
"Well, Paul, Paul, we know that you have a difficult relationship with the DGA," Shumlin responded. "And you'll have to work that out with the DGA." Asked by WCAX news director Anson Tebbetts whether he had raised money for his own reelection campaign in Vegas, the governor was more circumspect. "In terms of my own fundraising, any fundraising that I do will be reflected in a report that I'll file in accordance with the law," he said. "I'm really focused on my job as governor." Asked if that meant he had not picked up any cash in Vegas for his reelection campaign, Shumlin said, "No. It means that any fundraising I do on behalf of my campaign will be reflected in my finance — in my report — when I file." That report is due March 15. "But if you'll tell us the fundraising that you did for the DGA — or that there was fundraising with the DGA — why wouldn't you do the same for your own campaign?" Seven Days asked. "I just answered the question, Paul," he said. Shumlin told Seven Days in December that he planned to run for reelection this November, but neither he nor his staff has been willing to address the matter since. At the end of the year, then-deputy commissioner of labor Erika Wolffing left state government to become a fundraising consultant for the DGA and Shumlin's reelection campaign. According to a report the DGA filed with the IRS last week outlining its fundraising and spending during the second half of 2013, the organization reimbursed Wolffing $804 for "Event Travel Lodging" on July 31, while she was still employed by state government. Wolffing and Shumlin chief of staff Liz Miller also attended a DGA retreat held in Manchester in September. Neither the governor's office nor the DGA responded to questions about the nature of the reimbursement. Among the businesses that contributed to the DGA last year was CGI Technologies and Solutions, which built Vermont's troubled health insurance exchange. CGI donated $110,000 to the DGA in 2013, including four separate donations in December. But Shumlin said Friday that he never discussed DGA matters with the state contractor. "I have not ever spoken to CGI about anything to do with the DGA," he said. "You'd have to talk to the DGA about who spoke with them. Or who deals with them. I don't."